Do you need polycarbonate adhesives to complete a construction or manufacturing need? 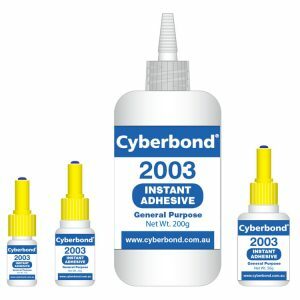 If so, you need polycarbonate adhesives from Cyberbond. Polycarbonate adhesives are necessary for the production of items in the electronics, automotive, aircraft, medical and construction industries. UV-curables, acrylics and cyanoacrylates are the polycarbonate adhesives you can count on for your wide variety of polycarbonate bonding needs. There may be environmental challenges involved with polycarbonate bonding because of the substrate’s suitability for high-temperature or impact application; our custom formulations allow you to choose your polycarbonate glue accordingly. 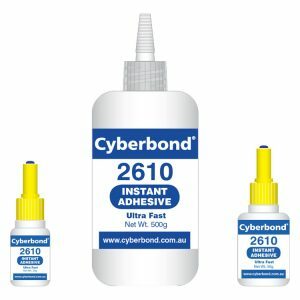 At Cyberbond, we have the needs in mind for both big and small businesses as you can request a single case for a small application or mass quantities to meet a large-scale need. As a worldwide manufacturer of polycarbonate adhesives, Cyberbond has been trusted by countless businesses for their polycarbonate adhesive needs. Our adhesives are made to hold strong under high-temperatures and are impact resistant, guaranteeing strong polycarbonate bonding. We are committed to quality and show it with our ISO 9001:2008 certification, ISO/TS 16949:2009 certification and ISO 13485:2003 certification. 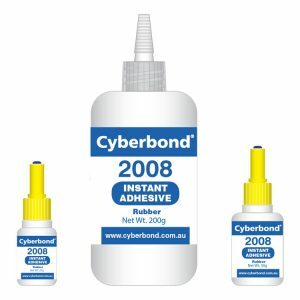 Cyberbond is proud to offer our important customers the following polycarbonate adhesives.